Top 5 Tantalisingly Tasty Catered Luxury Villas To Rent. This week I am going to give you a list of luxury catered villas available to rent from our delicious portfolio. This blog will make sure you can really make the most of your time with family and friends, rather than having to deal with the hassle of getting from A to B and then back again after a barrage of wine, to enjoy a memorable meal. When you step through the door of Villa Son Balagueret, you can be rest assured that all of your catering needs have been taken care of. Located in close proximity to Palma airport, you can be enjoying a delicious gourmet meal prepared by your own private chef shortly after arriving on this paradise island. The price of the rental even includes all your drinks throughout the duration of the stay with all wine, beer, spirits, soft drinks and sparkling wine. The professional chef is on hand to prepare daily continental breakfast along with a selection of cold items, lunch and then dinner with menus tailored to your taste buds. They will ensure that before you even step foot in the villa, they have consulted you on your dietary requirements. This means that the food you will be eating will be dishes that you have chosen personally, making your holiday one that stands out from the rest. 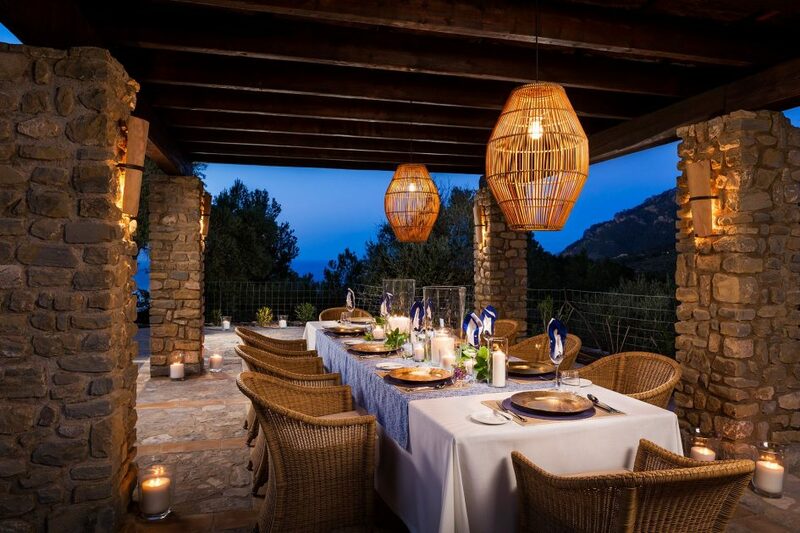 With exceptional facilities including a private pool and a shared tennis court, the luxury catered Villa Son Balagueret in Mallorca is a villa that must be considered the next time you plan a visit to the Balearic islands. Villa Pearl, a property located in close proximity to some of the best hot spots in the South of France including Club 55 and Nikki Beach on the famous Pampelonne beach. This stunning luxury catered villa is operated by the same team behind Chalet Pearl in Courchevel 1850. This means that the staff carry across from winter to summer, and are all highly trained hospitality professionals that work year round together, exceeding the expectations of some of the most discerning guests. This magnificent luxury catered villa is one that is hard to match when it comes to location, service and facilities. If you are interested in visiting the South of France then we know that this property will be one that provides a holiday experience that goes above and beyond. If you haven’t thought about visiting Thailand before then make sure this is one of your next destinations. Beautiful crystal clear waters, an amazing climate, along with some of the most breathtaking villas, make this country one that needs to be considered on your list for your next luxury catered villa holiday. 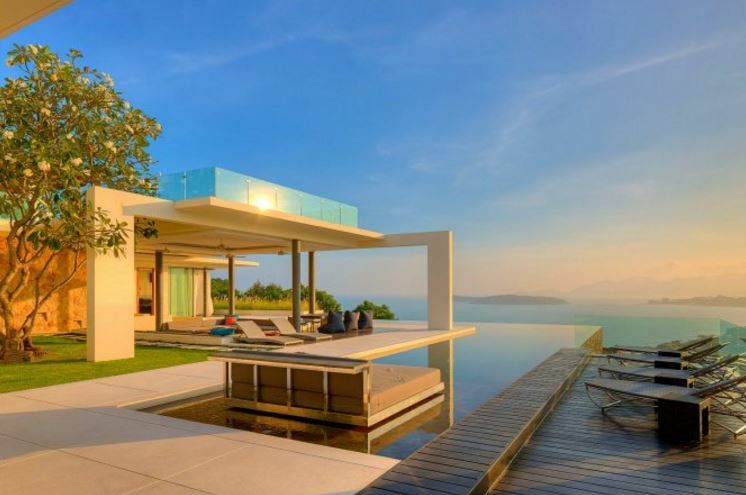 If you are interested in a catered villa in Thailand, then look no further than the beautiful Villa Sangkachai on the stunning island of Koh Samui. The property has one of the best infinity pools you will get anywhere along with a highly trained in-house chef to prepare all your culinary desires. This luxury catered villa also comes with the feature of a rooftop BBQ and outdoor area. Picture yourself with an ice cold drink taking in views of the surrounding Thai islands whilst your private chef prepares your favourite meals in paradise….not a bad image hey?! 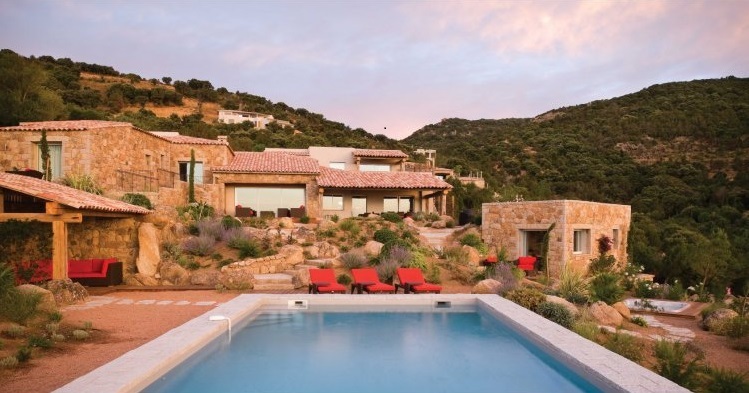 Villa Luna in Corsica is the perfect luxury catered villa for groups looking to escape everyday life and grab a bit of piece and quiet. The property is located in a stunning hillside surrounded by breathtaking scenery with alluring sea views. Encompassing the features of a gym, swimming pool and 2 outdoor hot tubs, this incredible catered villa offers guests the ultimate summer holiday. The in-house chef is on hand to prepare you a daily cooked breakfast with the choice of having up to a 4 course lunch or dinner on 6 days of your luxury villa holiday. If this was not enough the villas location also offers quick and easy access to the stunning beach of Palombaggia which was voted in The Sunday Times as one of the top 20 beaches in Europe. 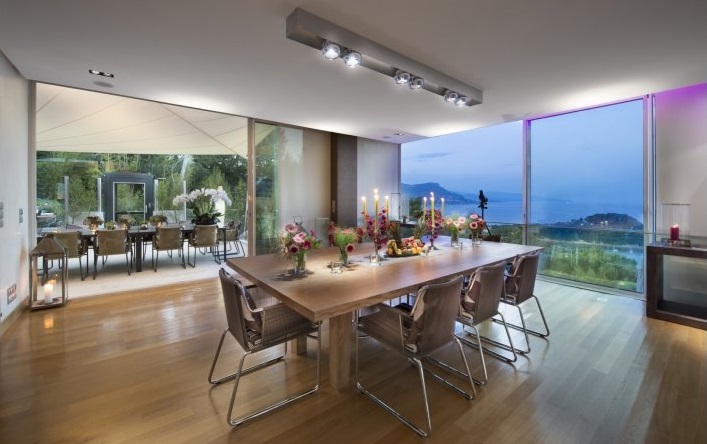 Set in one of the most sought after areas in the South of France – Cap Ferrat, the beautiful catered Villa C View, offers guests an experience of true luxury. With a facilities list that goes on and on including a spa with Hammam, sauna, exercise pool and outdoor swimming pool to name but a few, we know that this will be a villa for clients looking for the elite level of luxury. The property comes fully staffed with the services of a housekeeper, maid and handyman for daily maintenance along with a professional private chef preparing breakfast, lunch and dinner from 8am – 11pm at night (please note that food and drinks are at an additional cost). This really is a property that needs to be experienced if you are looking to have a catered villa that has that wow factor! We are always on hand to ensure that you get the luxury catered villa that matches your requirements. If you want more information on the properties above, then don’t hesitate to give us a call on +44 1202 203 656 or send us and email.